Some movies, you watch as a kid and when you revisit them as an adult, the viewing experience is roughly the same. Then there are those movies that you can’t help but scratch your head upon a revisit. Such is the case with the odd, dated 1980s film Prancer. I guess in the 80s, the idea of a child harboring a secret pet of sorts became an en vogue storyline after E.T., as this film is essentially E.T. with one of Santa’s Reindeer. It’s pretty strange just how joyless this movie is and it’s hard to imagine that this was the initial intent of the producers. Sure, you need drama in order to make a compelling story, but between her father’s financial struggles and overall curmudgeonly behavior to nearly fatal animal injuries, it goes a little too far without any sort of magic you’d think would go along with a movie about one of Santa’s reindeer. 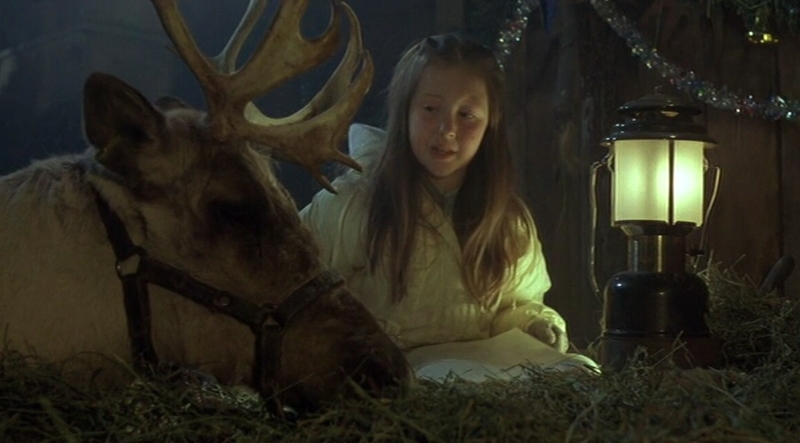 The story revolves around a young farm girl named Jessica who happens upon a reindeer, whom she believes is Prancer. While she hides him in her father’s barn, she tries to nurse it back to health in time for Christmas Eve. To me, the conflict between Jessica and her father wears pretty thin early on. Sam Elliot plays her father and his characterization is a bit one-dimensional. He’s struggling to keep the farm from being foreclosed, but his stress just comes across as cold and heartless. He blows up at Jessica at nearly every opportunity and it’s hard to empathize with him after a while. With a cast that boasts Sam Elliot, Abe Vigoda, and Cloris Leachman, there’s decent star power in the smaller roles, but unfortunately, the movie’s plot is a little too thin for the runtime.